Dharti Desai of Finewinesandmore is the woman behind W3. Wine is not a regular drink, believes Dharti Desai, CEO of Finewinesandmore, an importer and distributor of wine. “There’s a synergy created when people come together holding a glass of wine. Now more and more people want to learn about wine, not just drink it," she says, and adds that women are at the helm of this. Her company conducted market research into the buying patterns of wine drinkers and found that 60% of wine buyers at high-end retail stores are women. “It was quite a surprise for us. And gave us an idea to come up with an exclusive wine programme just for women," she says. During discussions with her friends Nisha Zhaveri of Myrah Spa in Mumbai and Farzana Contractor, editor of Uppercrust magazine, Desai decided to launch a club that would interest women who love wine and the finer things of life. She was joined by Chandini Dhall, who works with the Moti Mahal Deluxe restaurants, and thus was born W3—Wine, Women and Wit. Now, women can be card-carrying members of the Sparkling or Rosé categories of the club launched in Mumbai on Wednesday. For Rs25,000 a year the Sparkling group members get entry to wine dinners, private tastings, themed wine events such as wine and poetry, art, perfumes etc, a tour of a wine estate and discounts at various spas and restaurants. For an additional Rs25,000 a year, the Rose members also get discounts on the villa rentals at the scenic Il Boro wine estate in Tuscany, Italy, special discounts at select luxury retail stores, and more. 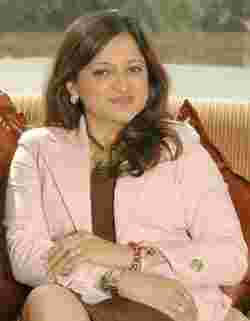 Chandini Dhall, who works with the Moti Mahal Deluxe restaurants, is the founding member of the group along with Desai. Club patrons include journalist and author Seema Goswami, actor Gul Panag, Contractor, Zhaveri, Kiran Patil of Vintage Wines and artist Anjana Kuthiala. “The wit part of the club is our effort at demystifying wine and making it a fun association for everyone," says Desai. The club will launch in Delhi in February and in Bangalore in April.